Skill level: Intermediate, must have good forging skills and proficient at Bladesmithing. Considered by many to be the ultimate culmination of knife design and forging skill, the integral knife is unparalleled in its elegance and balance. It presents unique challenges in forging and heat treating. In this class we will take a fresh look at forging integral kitchen knives, looking at the process with a new perspective. Using simple tools and direct methods, a minimum of specialized tools will be used. All aspects of the process will be demonstrated and discussed in detail. 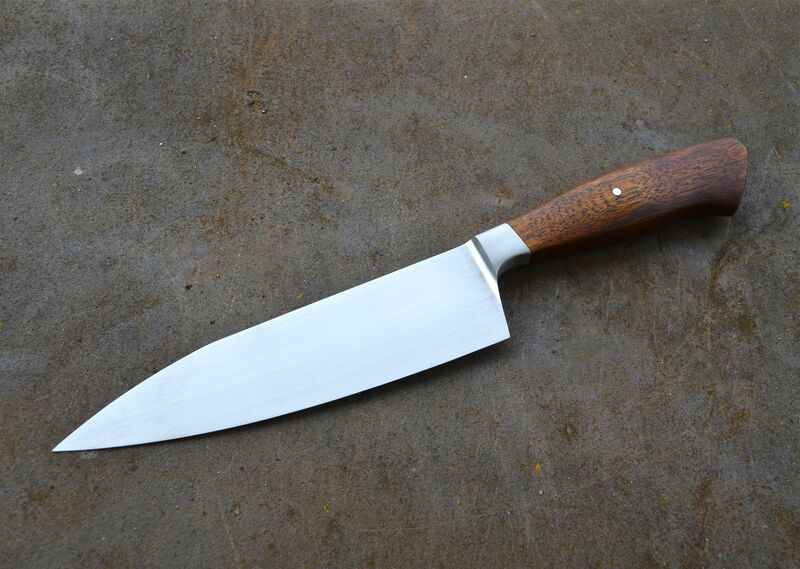 Students should be able to forge standard knives proficiently and easily. Comfort with hand tools, grinders and power hammers is necessary for success in this class. Students should expect to complete a hidden tang, integral chef knife with a pinned, exotic wood handle during the 5 day workshop. This is not a beginners bladesmithing class and students should be familiar with basic forging processes to be successful in this class. A minimum of a beginners blacksmithing or bladesmithing course is recommended for some success.